There are some classes in our code base that contain Methods only (no properties). I told my colleagues that converting them into the ClassMethods should improve performance as it would eliminate unnecessary OREF support at run-time. Some of them replied that it would be microseconds, so what is the reason to bother. Is it possible to estimate the impact of OREF support of method calls at run-time? E.g., as a % of all CPU load. Would appreciate some guidance on this. I am trying to initialize a list of %string property to an empty list, and after add eleements. I have a routing rule that calls some utility classmethods, but for some reason the compiled version insists on linking to a utility function in a different package. I was wondering about the best way to initialize several variables, or several lists of variables. set (var1, var2, var3) = "value1"
set (var4, var5) = "value2"
set var1="value1", var2="value1", var3="value1", var4="value2", var5="value2", var6="value3", var7="value3", var8="value3"
Given all these nice features, are there any disadvantages to using these fancy new features? I imagine performance might not be as fast and memory usage might be a bit higher compred to plain old arrays. And of course, this makes the code not backwards compatible to older versions of Caché which did not have these features. Are there any other caveats I should be aware of? The REST webservice works perfectly when run on SOAP UI. This end point server is an https site that uses basic authentication (uname and pwd). But when I run the request through an Enslib.Rest.Operation using a configured SSL and stored credentials, I get an "unauthorized" error, unless I explicitly hard code the password in the operation class. HS Version is 2014.1 . I have 2 questions. Pardon me, they are both related!! 1: How can the httprequest object be viewed in Ensemble? It took a long time for me to actually troubleshoot this because I had no way to see the httprequest object before it was submitted. I tried using a custom outbound adapter with a DEBUG=2 but I had no idea where the request and response are written. 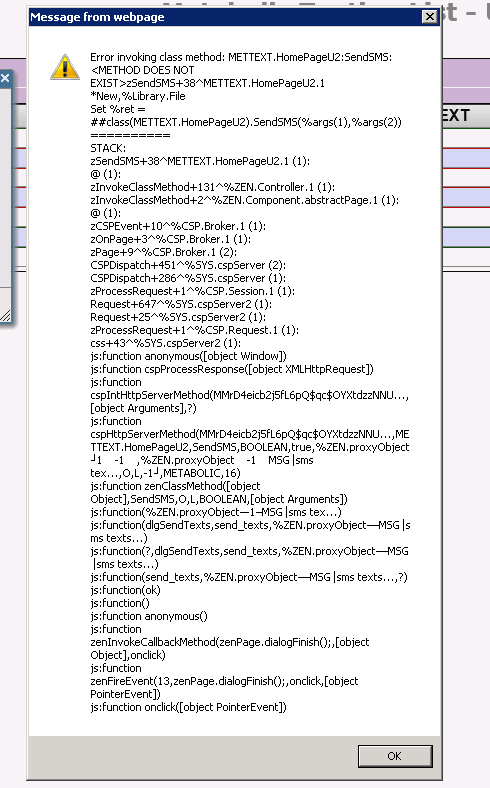 I did not see them in the HTTP Trace log of the CSP gateway after turning on the TRACE. 2: How is the Adapter password set? I tried the following 3 ways and they all returned an "unauthorized" error.